Ely Cleaning Services offer professional rug cleaning. Even the highest quality rugs are affected by general wear and tear, and often fade and become dull over the years. 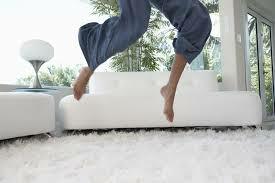 Our cleaning will help to keep all types of rug in their optimum condition for as long as possible. Our cleaning rug method will depend upon the age, material and colors which have been used to make the rug. We use only safe methods which will preserve the colors, maintain the fabric and give the best results. Your expensive rugs will be handled by professionals who will use cleaning agents that have the perfect pH balance. We do not use the old chemical methods which are harsh and can easily harm your rug. Our methods are gentle yet effective and you can be sure that we will treat them with care. We cover Ely, Soham, Newmarket, Cambridge and the surrounding areas. Why Ely Rug Cleaning Services? – We are polite, professional, and punctual, we provide a high standard service.